The turkeys are absolutely perfect! Happy Thanksgiving to you and yours. I bet they are talking about surviving another Thanksgiving day! 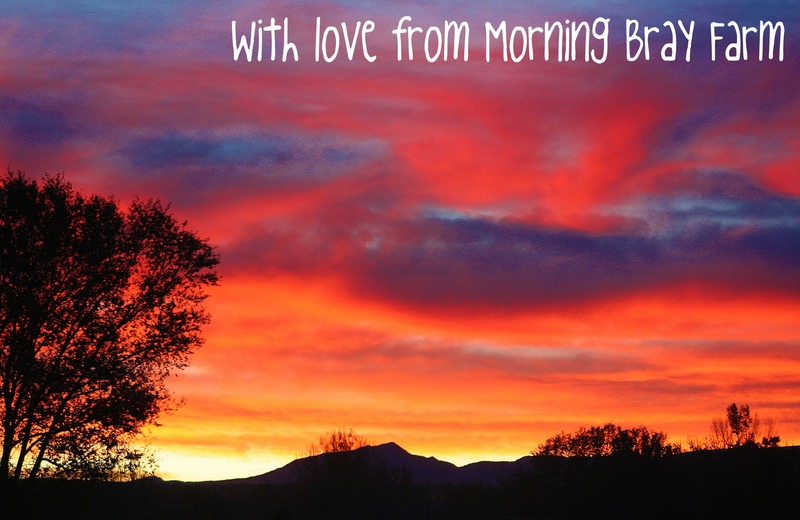 Oh, I do love that scarlet/orange/pink/mauve flame in the sky at sunrise or sunset. It’s magic. What an astonishing sky. Wow! Beautiful shots! 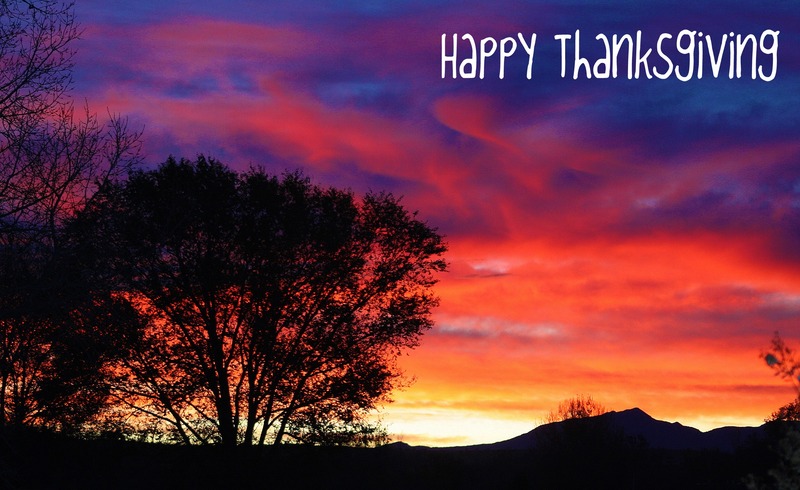 Happy Thanksgiving to you and all your family! Perfect photos on this very perfect day of the year. Happy Thanksgiving and gobble til ya wobble! I had no idea turkeys could fly that high. Maybe they were trying to get a better view of that gorgeous sunrise. Holiday hugs from all of us. We already had our Canadian Thanksgiving in October, but two Thanksgivings are better than one ! 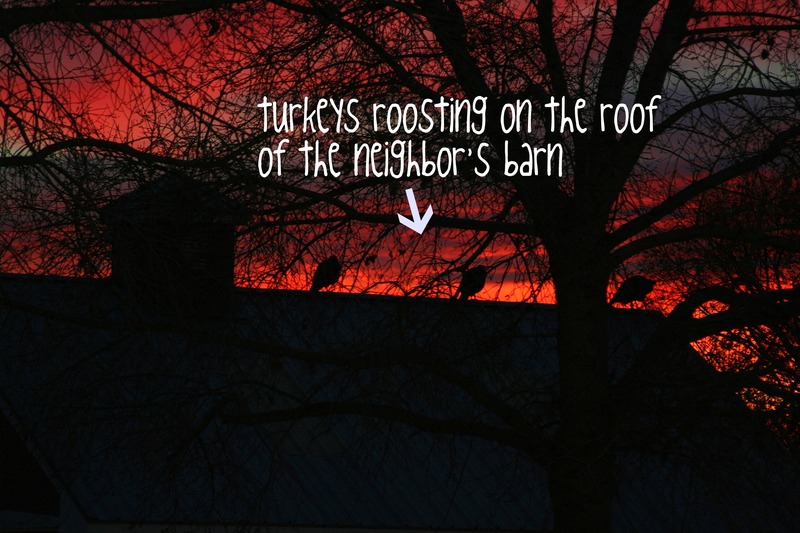 Just wondering … are those rooftop Turkeys the wild or domestic kind ? Gotta love those turkeys…trying to stay out of harm’s way I guess. 🙂 Happy Thanksgiving to you and Don and all your burro boys! Those turkeys are roosting, they’re hiding. Oh my, don’t those turkeys know not to silhouette themselves like that on Thanksgiving!? lol! Hope you had a wonderful holiday. Great photos. I hope all residents of the Hairy Hacienda and the Burro Barn had a great Thanksgiving weekend.